Practicing law since 2004, the firm's founding attorney, Jennifer Kurle, has over 14 years of experience in the health care industry. Through this experience, she brings a unique perspective to her law practice and is able to devise effective and innovative solutions and strategies that get results. Together with her associate attorney, Steven Justus, Ms. Kurle and her law firm provide progressive, personalized attention to each client's case to achieve the best possible outcome. 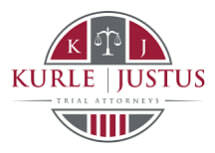 If you suffered an injury or lost a loved one due to someone else's negligence or carelessness, Ms. Kurle and her law firm have the resources necessary to maximize your compensation so that you can focus on your recovery. Regardless of your injury or loss, they are dedicated to helping you and your family through your traumatic time, and they will remain with you throughout the process and fight to obtain the results you expect and deserve. To find out more about how KurleLaw, LLC, can help you and your family in your time of need, you can contact their office to schedule a free initial consultation.